Inaugural address, 1970. Sam Massell papers, MSS 695, Kenan Research Center at the Atlanta History Center. We would like to welcome two new collections from our partners at the Atlanta History Center: the Sam Massell Papers Collection and the Living Atlanta Oral History Collection. 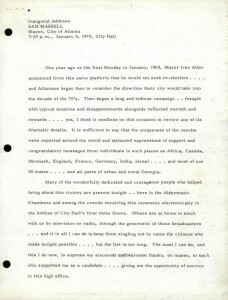 The Sam Massell Papers collection contains a diverse set of materials representing the life and career of Sam Massell, Jr., who served as mayor of Atlanta from 1970 to 1974. These resources provide an excellent perspective of Massell’s career as a politician and businessman, and contain information relating to the many civic, political, and business organizations in which Sam Massell was involved. The Living Atlanta oral history collection includes oral history interviews of Atlantans discussing race relations, social life, customs, economic conditions, politics, and government during the twentieth century. 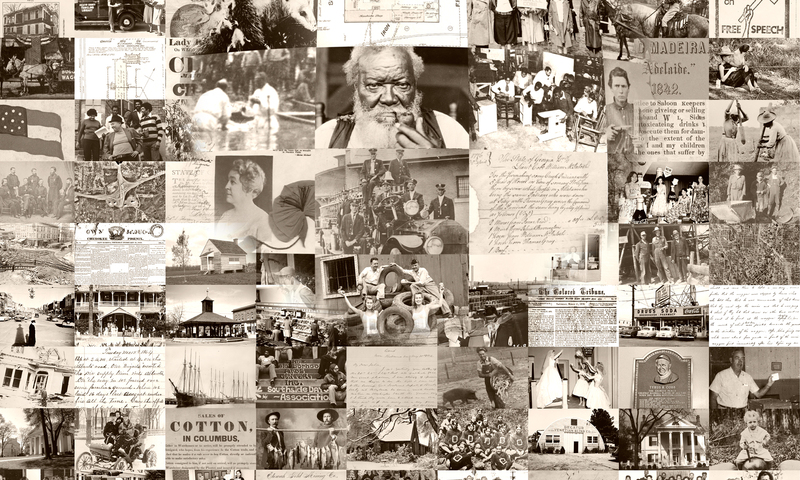 We hope that you enjoy these two newest resources from the Atlanta History Center! We are pleased to announce new collections with lots of new content from the City of Savannah, Research Library and Municipal Archives. the Benjamin Van Clark Neighborhood Documentation Project (Oral histories related to the Benjamin Van Clark Neighborhood in Savannah, Georgia focusing on mass transportation and the development of streetcar suburbs; desegregation and its changing population; and the revitalization and rehabilitation of the community). the Eastside Documentation Project (Oral histories related to five eastside Savannah neighborhoods, East Savannah, Hillcrest, Pine Gardens, Savannah Gardens, and Twickenham). the Ellis Square Oral History Project (Oral histories related to the development of Savannah’s Ellis Square). the Westside Documentation Project (Oral histories of three predominantly African American Savannah neighborhoods, Hudson Hill, West Savannah, and Woodville). Savannah Development and Renewal Authority (SRDA)– West Broad Street Appraisals (Appraisals of West Broad Street parcels from 1958 and 1961 in preparation for the construction of U.S. Interstate-16 into Savannah). 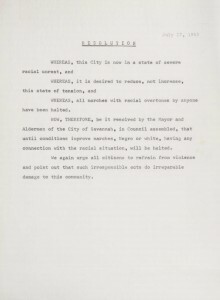 City of Savannah, Georgia Records – Mayor’s Office (Records of the mayor of Savannah from the period of 1869 through 1904 and speeches of the mayor dating from 1960 to 1966). She adds: “We are particularly excited to share the oral history collections digitally. Prior to this we did not have a good way to allow individuals to listen to the audio recordings and I think this new access will increase their use and appreciation. I am also excited that we are sharing twentieth century collections and history with our citizens and users. We have previously had a strong focus on nineteenth century records, but we are increasingly seeing where we need to start addressing gaps in our twentieth century records, and researchers are increasingly interested in studying twentieth century events and issues. We hope that you take the time to explore these new collections, and learn more about how the twentieth century has shaped Savannah’s modern history.